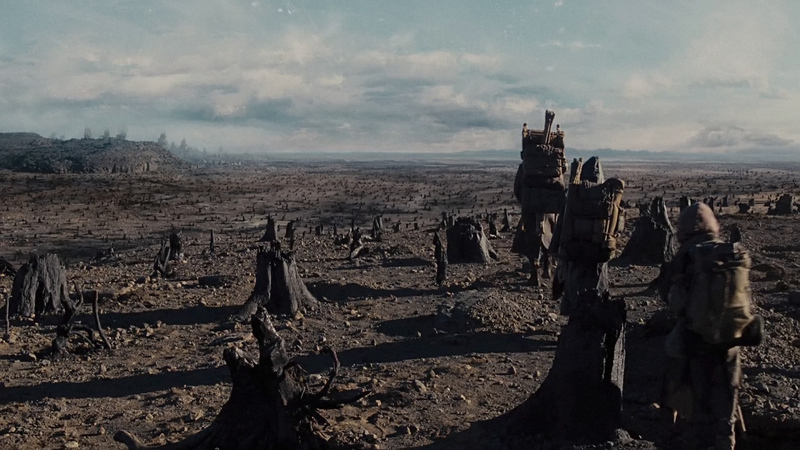 During the first five minutes of Noah, I was pleasantly intrigued. I had was not making plans to write the following review. I knew going into the theatre that the marriage of Biblical narrative and Hollywood cinematography often leaves our scriptures a little worse for the wear. And, I was willing to give the creators some creative grace when it came to dressing the characters in 1860’s work clothes. Sadly though, the creators of this film did not stop with recreating the historical setting of the story. They completely rewrote the biblical narrative, transforming Noah into a self-righteous maniac who was not above killing babies, using drugs, or drowning his failures in one too many wooden cups of freshly pressed grapes. Consequently, the film promises to confuse younger viewers’ attempting to appreciate the biblical narrative found in Genesis 5-8. If you are a parent, I would encourage you to protect your children from the deluge of error that flows in and out of this movie. Consequently, the movie Noah by simply existing has the potential to leave this generation of kids with muddled perception of this narrative that beautifully details sin, death, and salvation. But by smashing past the usual limits of historical license into the world of recreation, the architects of this film offer our children gross misconceptions about the God, Noah, and the Bible. The film is troubling. First and foremost, the movie misrepresents God to the next generation. God is shown to be a mystical creator who only communicates with his creation through odd dreams. Instead of giving Noah a detailed plan of the ark and encouraging him to call people to righteousness, the god of this film gives Noah vague impressions that occasionally require the assistant hallucinate drugs to help things along (Genesis 6:11-22). Because God is so distant, the actors in the film never actually say the word “God.” Moreover, all those wonderful promises that drive the historical Genesis narrative were not divine revelation. They were the strange musing of an emotionally unstable Noah. If we let this movie inform our children’s view of God, they will think the creator of the universe is a distant being who cares little for the souls running about earth. According to Mr. Crowe, humanity’s greatest sin has been the destruction of creation, naturally pushing murder, violence, and idolatry to secondary importance. He often laments the cruel consumption of nature by the greedy sons of Cain. Being a good dad, he tries to instill his values into his sons. He rebukes his children for picking a flower without a utilitarian purpose. He then kills three men for attempting to hunt and eat a prehistoric dog. In another Biblical twist, the villain of the movie is credited with saying that humans should “have dominion over the fish of the sea and over the birds of the air” (Gen. 1:28). Not surprisingly, God decided to destroy the world for the purpose of creating a new Eden free from the evil humans who abuse animals and trees. Sadly, the movie misses the reality God created the world for men and women. God killed the first animal in Genesis 3:21 to provide clothes for Adam and Eve. Moreover, God took delight in Abel’s blood sacrifice and rejected Cain’s grain sacrifice (Genesis 4:3-4). Nature exists for man, helping him to understand and relate to God. According to the God of the Bible, people never existed for nature. By necessity any movie that redefines sin must also redefine how a person gets saved. The creators of the film offer our children a salvation of works, oddly eliminating the existence of grace. Early on in the film, the viewers are introduced to the “Watchers:” rock clad angels. Sometime after the fall of Adam and Eve, they descended from heaven without God’s permission to help Adam survive in the world. Because of their well-intended disobedience (which also indirectly inspires humans to create cities) God has imprisoned these messengers of light in bodies of heavy stone. But after helping Noah build the ark and then defend the ark from the city dwellers (who are beyond saving), God forgives these angels, allowing them to return to heaven with the former glory. 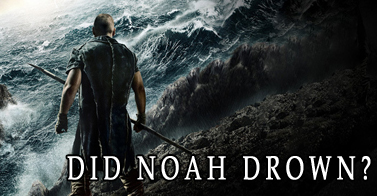 Not surprisingly, the Noah of the movie also does not offer grace to his family or to the lost world around him. He is intent on seeing all of humanity destroyed, refusing to save an “innocent” girl and others from destruction when given the chance. After all, Noah believes mankind deserves to die for their unjust treatment of the earth. Ultimately, humanity only continues on because Noah eventually sees some redemptive qualities in his progeny. Thus, he decides not to kill his granddaughters and end all hope for human procreation simply because some people are loveable. The God of Ephesians 2 and Deuteronomy 9 who saves people according to his free grace has been replaced with a silent, dictatorial God who redeems beings when they magically perform enough good works. By introducing their audience “Watchers,” Methuselah’s nifty magic tricks (which include a flaming sword that wipes out armies and herbal teas that cause hallucinations) and a Noah who has been blessed by snake sin, the architects of the film transform the Bible into a fairytale. Instead of being a series of events that involved real people to reveal truth about God and the world, the story becomes just another entertaining myth designed to help us suspend reality for a few moments of pleasure. 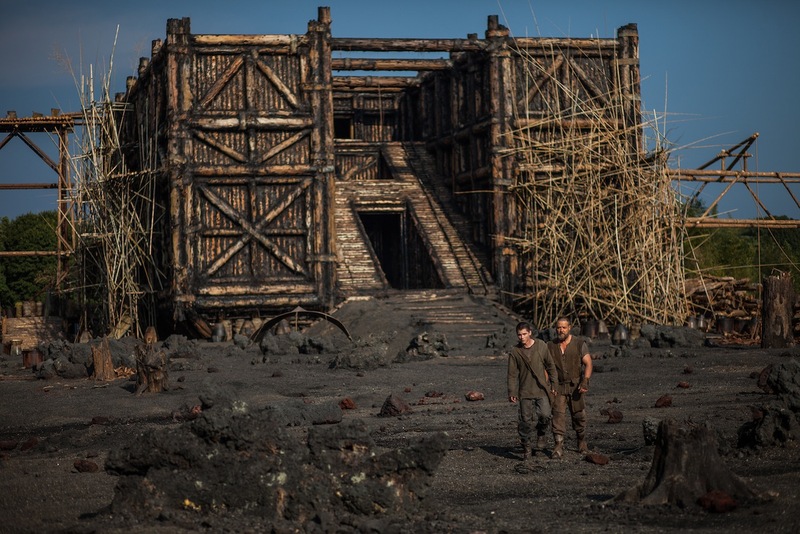 The movie has attempted to push the Bible off of the historical and ethical shelf onto the messy table of fiction. I believe those who see this movie will struggle to embrace their next Sunday school lesson as being historically true. In short, I left the movie without actually seeing the story of the “Great Flood.” The creators of the movie drowned the godly Noah of the Bible under a sea of murky philosophical debris. By misunderstanding God and by redefining sin and salvation, the creators of the film present a Noah who is driven by environmental standards of holiness. The man Russell Crowe portrays on the big screen reveals only that an ethic built upon a love for nature and the absence of the biblical God leads to madness. For this inadvertent revelation, I am thankful. But, I am deeply troubled that it came at the expense of the historical Noah who loving preached righteousness to perishing world (2 Peter 2:5). I believe this film can do nothing but confuse the next generation. You did know that this movie was produced by an atheist, yes? Yes, of this I am aware. Thanks Peter for reviewing the movie and writing this article since this movie got some minor Christian endorsements – like Focus on the Family I think and Mike Huckabee seems to like it.